So, let’s get started and check out this tool. In order to install and run mssql-cli, you must have Python installed on your machine and it works with both Python 2.7 and 3.6 versions. For supported operating system specific installations including Python, see this full detailed installation guides. Since I’m a Windows user, let’s go through the steps of installation and set up mssql-cli on the Windows environment to see it in action. 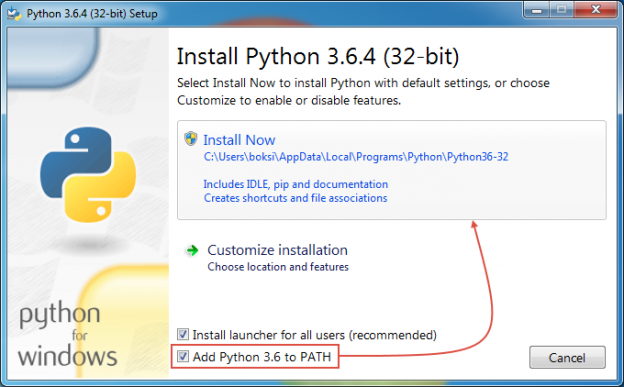 Python is not installed by default on Windows, so we need to obtain the latest installation package from here. Once the installation file is downloaded, double-click it to begin the installation process. Let’s check out the features that we mentioned at the very beginning of this article. Query history is self-explanatory; you can reuse recently executed queries by browsing thru them using the up and down arrow keys. Furthermore, the hints are auto-suggested from history as you type. This bug is already logged as issue #98 under the mssql-cli GitHub project. If you encounter any bugs with the tool, you can report them in the Issues section of GitHub repo. You can use the same thread to provide feedback as well. Microsoft is open to any questions, feedback, or any feature suggestions for future releases. To quickly get the hang of this tool, check out this user guide for details on options and example usage. After SQL Server 2017 was released on Linux and macOS (Docker), the dbcli community raised the need to modernize sqlcmd. Not that we didn’t have a popular set of open source cross-platform CLI tools for databases, but this relatively new tool which supports “smart” auto-completion, syntax highlighting and easy installation looks very promising. The community grows each day and these guys are really passionate about creating better database CLI tools. The roadmap shows some very useful features and areas of focus in the future mssql-cli work. Overall, this is a great tool that supports all versions of SQL Server and has support for cross-platform which can be useful for users who can’t or don’t wish to deploy SSMS on client computers, etc. or they’re just into command line database clients.